The Longhorns have every resource imaginable to sell to their new coach. That won’t happen, of course, and Patterson wouldn’t set a timetable on his search. “We’ll find the best football coach we can,” he assured. If you’ve been following the social media-driven drivel regarding the Longhorns’ wish list and who might actually be a candidate at Texas, you’ve seen nearly every big-name coach distance himself from the mill. Some candidates probably don’t have interest in leaving their current jobs, while others merely must be coy for the sake of good business and good public relations. If you were out of the Texas loop over the weekend, let’s get caught up by looking at the major names that have been thrown around and what each one has said (or not said) about the gig they’re rumored to be a candidate for. A recent report suggested Texas prefers a coach who has won a national championship or Super Bowl (who knows if that’s true), which was probably the impetus for Tomlin’s name appearing on the list since he won a ring with the Steelers in 2009. But by all accounts, Tomlin legitimately has no interest in Texas or any other college job. "I always had a desire to compete in this sport at the highest level," Tomlin told reporters Sunday. "But you don’t know if those opportunities are going to be presented to you. I think that once you’re exposed to football at this level, you realize there’s only one bowl game – the Super Bowl. The rest of that stuff is nice trips and sweatsuits and watches." Tomlin didn’t shoot down any specific rumors, but his denial seems real. Harbaugh has college coaching experience at Stanford but has stated he has no intention of leaving the 49ers. According to a Pro Football Talk report on Sunday, the 49ers intend to sign Harbaugh to an extension after this season. Michael Silver of NFL Media also reported that Harbaugh has told San Francisco management he is staying with the organization. It all sounds good, but as Silver reported, the Niners approach Harbaugh with an extension in the offseason that he turned down because he “didn’t like the numbers.” That doesn’t mean he won’t sign the next offer, but he might also like Texas’ numbers if he ever gives the Horns a chance to present them. Whereas the case seems closed on Tomlin (although we can’t be totally sure), it feels like something less than that for Harbaugh. Well, he did sign an extension with Alabama worth more than $7 million per year, which is a pretty strong “I’m not interested in another job” move. On Saturday, Saban told ESPN’s Chris Low that he never had any interest in Texas or any job other than Alabama. “I never considered going to Texas,” Saban said. “That wasn’t even a conversation. I knew that if Mack stepped down, there would probably be an opportunity, but it wasn’t something I was interested in doing, not at this stage in my career." True, there’s no buyout in Saban’s deal with Alabama, but this should end the Texas speculation. Shaw hasn’t publicly commented about the Texas rumors, but the feeling from speaking with folks close to Stanford is that he doesn’t have interest in Texas or another college job. So, in Palo Alto, the Shaw-Texas rumors are mostly met with a shrug. The NFL threat, however, is real. Shaw has spent time in the NFL as an assistant and could return for a head coaching opportunity. Stanford’s contracts are private and can be viewed on only a delayed basis on the university’s Form 990 IRS filing, but Shaw’s deal is believed to be in the $2-2.5 million range, a long way from what Texas would presumably offer him. Would Texas’ money pull him to Austin? Those around Stanford don’t believe so. As one source said, if this is about making the most money for Shaw, then he’ll have that opportunity again in the near future via the NFL. If he’s going to leave Stanford in the coming years, it’s believed that he would do so at that time with a pro opportunity in hand. ESPN’s Adam Schefter reported Sunday that Shaw won’t be leaving for the NFL this season, however, despite expected interest from the Washington Redskins and Houston Texans. 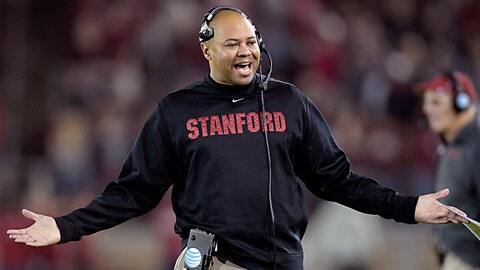 If David Shaw is going to leave Stanford in the future, it will likely be only for an NFL job, a source told FOX Sports. All three of these guys signed extensions and therefore have the same not-interested-in-Texas defense to lean on. Sumlin was a rumored candidate for the USC job recently and said publicly that he wouldn’t be speculating about that, so it’s no surprise he’s not engaging on the latest rumors. More importantly, Sumlin signed a six-year extension with Texas A&M worth $5 million per year, which includes a $5 million buyout through the 2016 season. Baylor locked up Briles to a 10-year deal earlier this season worth $4 million annually, a strong commitment to the coach who has built the Bears into one of college football’s most entertaining programs. Mora’s representatives used the Washington speculation to secure a six-year extension for the Bruins’ head coach, which doesn’t mean Texas can’t obliterate the financials of that deal if it wants. But for now, Mora can say he’s committed to UCLA and have the documents to prove it. Update: Mora appeared on Jay Mohr’s show on FOX Sports Radio Tuesday and denied having interest in Texas. Mora: "I love being a UCLA Bruin. My plan is to stay here and hopefully retired one day … It’s like Jim Harbaugh said, ‘For me to be even thinking about any other job is absurd,’ and that’s the same for me. I only think about the job that I’ve got. I’m staying at UCLA. I love UCLA. Why would I ever want to leave UCLA? I’ve tried to learn to never say never because you don’t know where life is going to take you, but I would love the opportunity to stay at UCLA for the rest of my career." This is a new one that surfaced over the weekend. Kelly called any rumors linking him to college jobs – be it USC or Texas – “just speculation.” He also has the 18-month show cause penalty from Oregon that runs through Dec. 25, 2014, which could make him a more attractive candidate in next year’s coaching carousel. Graham might be a reach, but after leading ASU to the Pac-12 title game, he has a little bit of juice. He’s also a Texas native and has shown he’s willing to job hop, having spent only one season at Pitt before coming to ASU in 2012. Asked about the Texas rumors Sunday, Graham mostly praised Mack Brown’s career and reiterated that he wants to build Texas-style standards at Arizona State. “I want to build a national power here,” Graham said, before continuing on about wanting big expectations and playing only for championships and creating an atmosphere where anything less than 11 wins is not considered a success. Sounds good. Certainly is not a refusal of interest in Texas. Update: In an interview with FOX Sports 910 in Phoenix Monday afternoon, Graham said, "We’re not concerned about any other program or any other job or anything like that. We’re committed to being here. I think our recruits and our players know that, and that’s all we can do … The only people I’ve talked to is my team and my players, and we’re focused on Arizona State and taking this program to national prominence." The two coaches playing in the BCS national title have both signed extensions with their respective schools and, unlike other coaches in lesser bowls, would find it difficult walking away from a championship game for Texas. Things could change if Texas is willing to wait until Jan. 7 – the day after the title game – to hire its coach, but that’s probably unlikely. One reason Texas might be able to wait: From Dec. 16 through Jan. 15 is a “dead” period in recruiting – meaning, no in-person recruiting can occur. 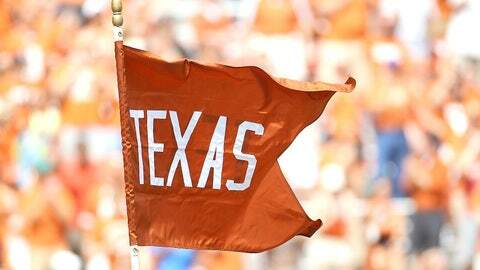 So it’s not as if Texas is racing the clock to get its new coach out on the road for home visits. Give FSU’s PR folks credit for shielding Fisher this weekend in New York City while he was making the rounds with his Heisman winner, Jameis Winston. Still waiting comment, denial or extension from: James Franklin (Vanderbilt), Mike Gundy (Oklahoma State), Les Miles (LSU), Mark Dantonio (Michigan State), Mystery Coach X, half of the NFL.